Come to an educational and fun workshop to help you strengthen your sense of community. This interactive workshop focuses on the psychological sense of community—our experience of connection within the groups to which we belong. In this workshop, we examine our own sense of community in our lives, share ideas on how to enhance it, and learn how to sustain it over time. Our goal is to learn about and experience a sense of community together. The workshop includes: Individual exercises, partner interactions, small group activities, discussions, and presentations by the facilitator. The event concludes with an optional serving of delicious stew created with ingredients we each contribute to the collective stew pot! This workshop is for anyone who would like to enhance their sense of community within the groups to which they belong. The ideas apply to many types of community settings, including small groups, shared homes, neighbourhoods, organizations, and the workplace. Collin van Uchelen, Ph.D. is a local expert on the sense of community. He has over 25 years of first-hand experience in creating community in collective homes, and he founded Vancouver’s Collective House Network in 2007. His research has examined the connection between our sense of community and empowerment in community settings. 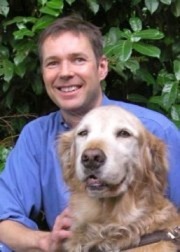 Collin holds a doctorate in Clinical and Community Psychology. Collin has been awarded the Governor General’s Caring Canadian Award for his work in bringing these teachings to communities in BC.